Corning Incorporated (NYSE: GLW) today announced that it will feature a variety of advanced glass technologies demonstrating the integral role of glass in the future of consumer and business applications in its booth (#12844, Central Hall) at the International Consumer Electronics Show (CES) in Las Vegas, Jan. 6-9. In 2011, Corning imagined a bold future for glass technologies in its video, “A Day Made of Glass.” Five years, and more than 25 million YouTube views later, that vision is becoming a reality. This year, Corning will showcase Gorilla® Glass and other advanced glass technologies giving ordinary surfaces extraordinary capabilities — for automotive, retail, home, and more. “As we extend the technical and design capabilities of precision glass, Corning continues to deliver innovative technologies that enable more connected, interactive, and customizable lifestyles. We’re excited to engage consumers and industry partners in a set of new application opportunities inspired by our vision for the future – all made possible by Corning,” said Dr. Jeffrey Evenson, senior vice president and chief strategy officer. Corning is leveraging its capabilities in glass, optical physics, and fusion manufacturing, as well as its consumer electronics industry experience, to extend advanced glass technologies into significant new market opportunities. 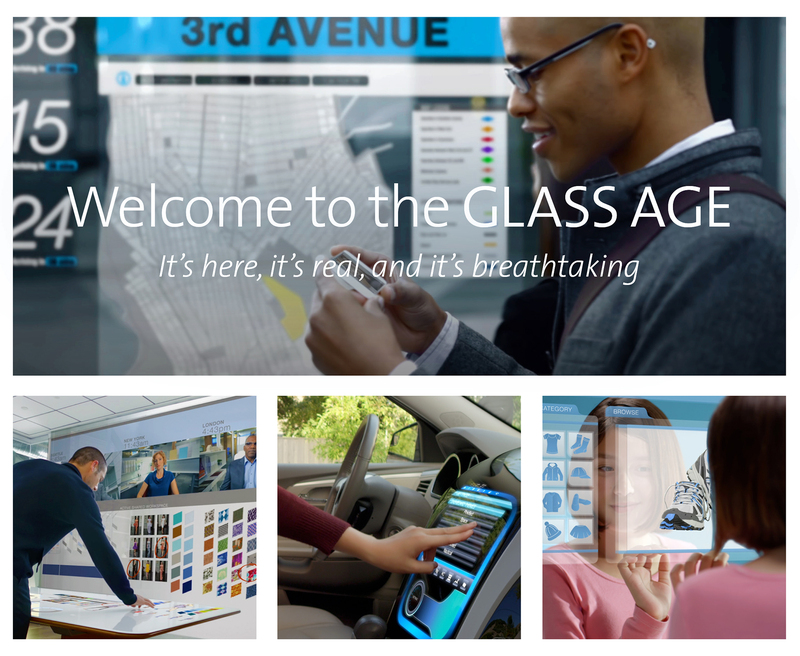 Corning is proud to bring these immersive, full-sensory experiences to CES 2016, as the seemingly limitless possibilities of design and functionality are explored in a breathtaking new era called the Glass Age.